Me and Rob went into town a couple of days ago to battle the Christmas crowds and finish some last minute bits and bobs (but not before stopping at the garden centre to see Santa's grotto and visit the rabbits - no prizes for guessing which one of us pushed for this to happen). 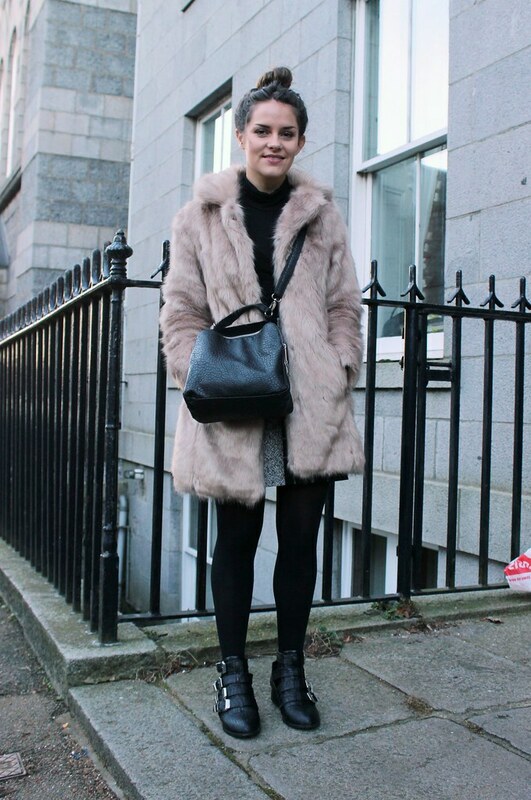 It was a chilly one, so I wore my beautiful handmade wool skirt from Little Deer and my blonde faux fur coat from Miss Selfridge which, although I wear it all the time, I don't think has actually been featured on here before. I'm back off into town today for some more last minute Christmas gifts (why does it never end?) and then to meet my Mam for some grub, so I better run before I miss yet another train. I love the patchwork skirt! Such a good length as well, not too long but not too short, just perfect! 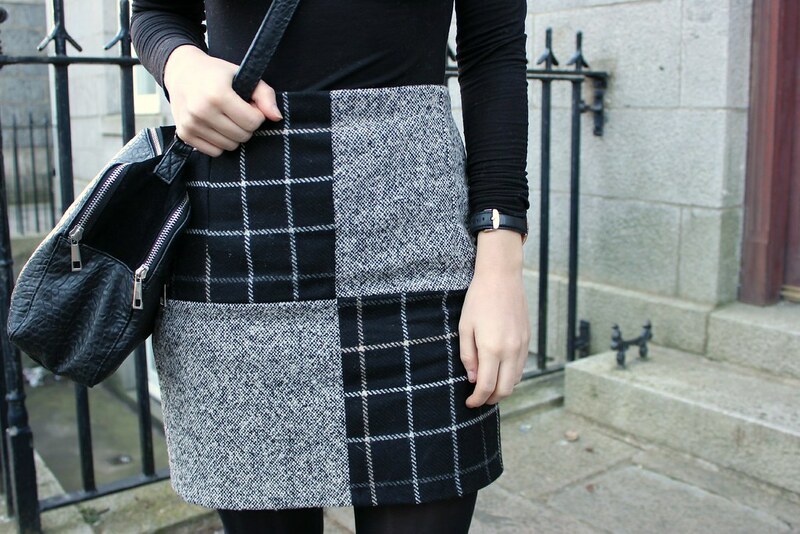 Love your skirt and roll neck. And your coat looks so cosy. The skirt is really cute. In love with your fur coat, looks so cosy and warm! the coat is dreamy! Merry Christmas! Love your coat and that skirt is so sweet! YUM, that coat looks so luxe! This skirt is so fun. I love the patchwork design!